You have probably already had plenty of advice on making that exciting initial encounter everything you want it to be. But how can you give potential boyfriends a first impression they’ll never forget? First off, pay no mind to your inner naysayer . 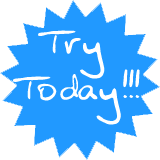 . . you already possess the ability to make a great first impression and now is the best time to bring it to the fore! In other words, good first impressions happen when women don’t think too much about it . . . they just DO it. The greatest obstacle to pulling this off is getting lost in your own head and trying to size up the situation too much. So embrace first date tips like this: You can make a great first impression by NOT focusing too much. Stop your brain from working overtime to second-guess everything you do. How many times have you asked yourself . . . These kinds of perfectionist thoughts poison your attractiveness. Your fear of being less than perfect makes you tense. And you know that TENSE = UNATTRACTIVE. Best of the first date tips? RELAX. Don’t let irrational and unrealistic doubts cloud your thinking. Making a good first impression depends on not putting up a tense, phony personality that masks who you really are. On the contrary, it’s a matter of being calm and collected so you don’t scare him off. At first, this might feel like you’re putting on clothes that feel stiff and awkward. However, this feeling will go away the longer you “wear” this attitude of calmness. In time, being relaxed and in control will flow naturally from your core. Your body’s subtle visual cues will tip off a man–consciously or subconsciously–to what you’re feeling. Positive body language goes a long way in generating the aura you’re aiming for. How do you learn this skill? You can discreetly observe your confident friends or other people you’re often with. Notice how laid-back their posture is? Maybe you’ll see the way their feet are apart at just the right distance. Not too close, but not too far. There’s something about standing in a way that says you’re not about to apologize for the space you’re occupying . . . but at the same time, not being smug about it. A good way to exude confidence is by standing slightly on one leg with your back propped up just enough to avoid slouching or standing too erect. Also, resist revealing your nervous energy by fiddling with the straw in your drink or your handbag. You’ll need a place to tuck away those restless hands, but keeping your arms crossed isn’t a good idea as it’s a very unwelcoming gesture! Instead, rest your hands on a stationary spot. If you’re seated, rest one hand on the table while your other palm is flat on your knee. Mix and match the placing of your hands as long as they’ll make you look at ease. One of the best first date tips is to make proper eye contact. A general rule of thumb is to look away and occasionally make quick, casual glances at your conversational partner as you speak. Then, hold a more consistent gaze when it’s their turn to talk. This is a great way to make a connection because being able to visually communicate with someone ensures that there’s a healthy amount of rapport going on. This aspect of first impressions is often glossed over since some women don’t realize how vital it is. This type of eye contact is flattering as your gaze implicitly tells the man you’re really listening to them. Giving someone your attention in this subtle way expresses your interest and joy of being in their company. Generally, prolonged eye-to-eye communication is well received by men. When women make eye contact, it’s generally perceived as a friendly gesture, so you can use this to your advantage. Looking away too much while a man is talking sends the wrong message. It can appear you’re bored to tears . . . or worse, that his company isn’t good enough for your undivided attention. Similarly, not making some eye contact while you’re speaking could suggest you’re ashamed or unsure of what you’re saying. Visually reconnecting every now and then implies confidence in your thoughts and opinions. 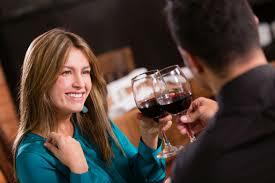 Another component of effective first date tips is your ability to use your smile effectively. It’s easy to forget that this simple but powerful gesture is a universal form of communication across all cultures. Your smile should be relaxed, not forced. It needs to be genuine, not rigid, so it shows your date that you’re getting pleasure from hanging out with him. The type of smile you’ll need is the kind that grows on you during the course of a pleasant conversation. Why? It just seems more natural, relaxed and not forced at all. It’s an unspoken sign, but the positive message the “right” smile conveys is worth a whole conversation in itself. That said, there’s a powerful impact in not gratuitously smiling too much when meeting someone new. This allows you to create a more sincere connection based on the content of the conversation and not as a form of character manipulation. All the first date tips we suggest have one thing in common: To make the best possible first impression. Your first encounter opens the window of opportunity to permanently etch the kind of impression you want to leave with him by not over thinking, staying relaxed, using appropriate body language, making proper eye contact and using your smile effectively. All it takes is some practice to build your skills. Then the confidence will come, too. Remember, you can’t study confidence-you only develop it through practice and experience. Try these first date tips in the real world so you can learn what works for you and what doesn’t. Your average day will bring you lots chances to hone your first impression skills so you’ll be ready when that next first date comes along and you can use these first date tips.